Thanks for visiting Just For Fun Racing, we appreciate your support! Welcome to our Adrenaline addicted family! 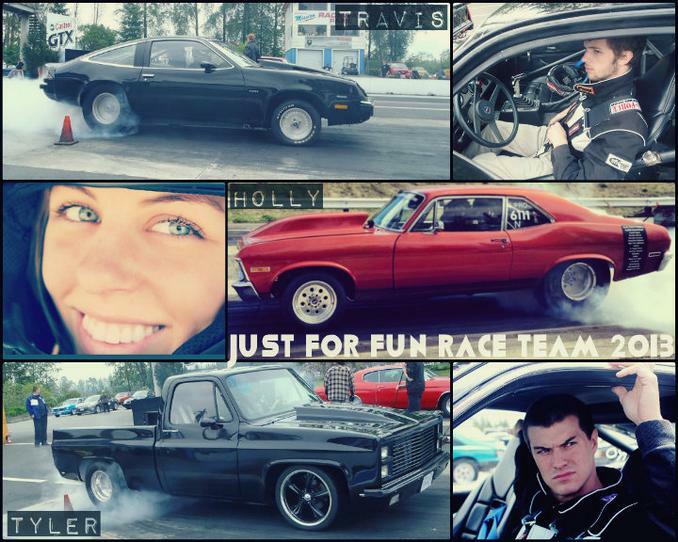 We have all been involved in drag racing most of our lives and love sharing our love of the sport with others. Our site is still under construction so please excuse the unfinished website. Currently we are working on a blog, adding all our team pictures, schedule and making it easier for everyone to interact and keep updated! Please browse around and if you have any inquires or are interested in sponsoring our team please feel free to e-mail us at justforfunracing@yahoo.ca. Just for Fun Race Team. Chilliwack, BC. Canada. (604)-308-6434. JustForFunRacing@Yahoo.ca.